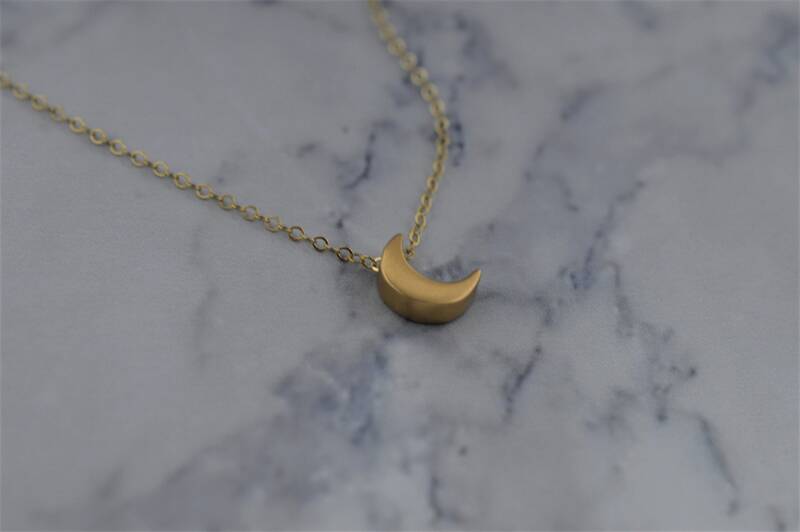 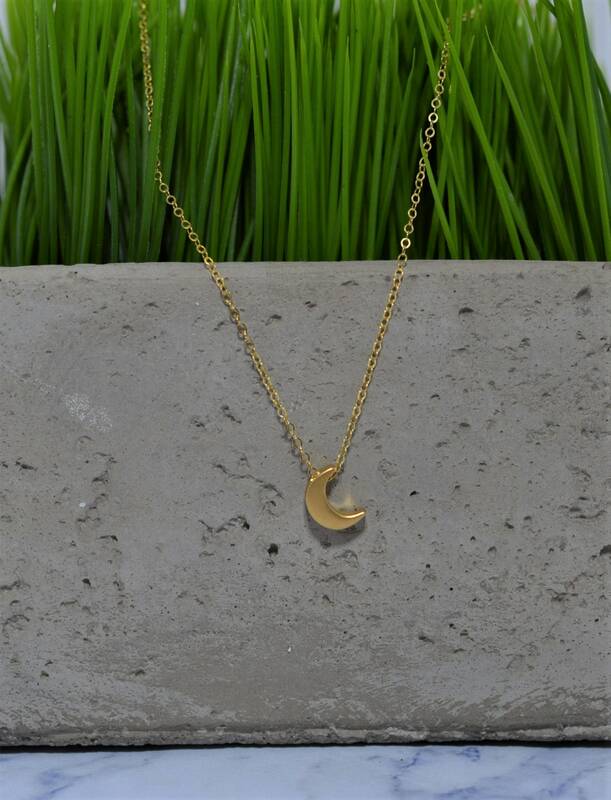 Celestial jewelry is super hot right now and this moon necklace is no exception! 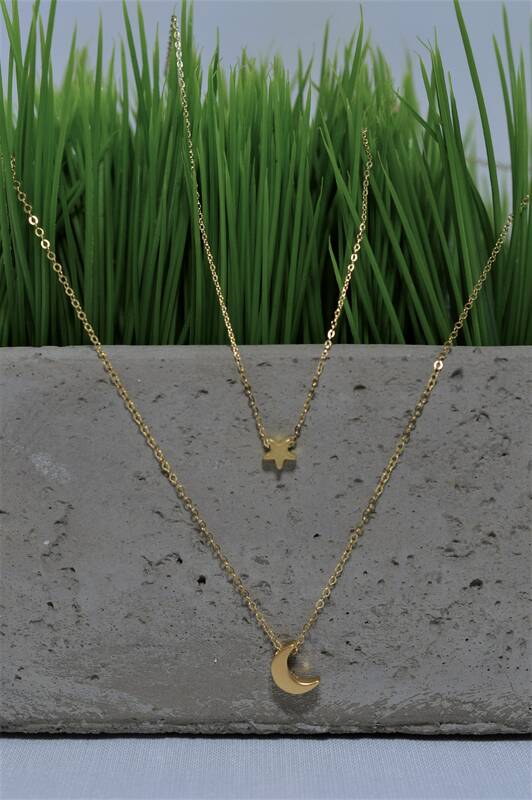 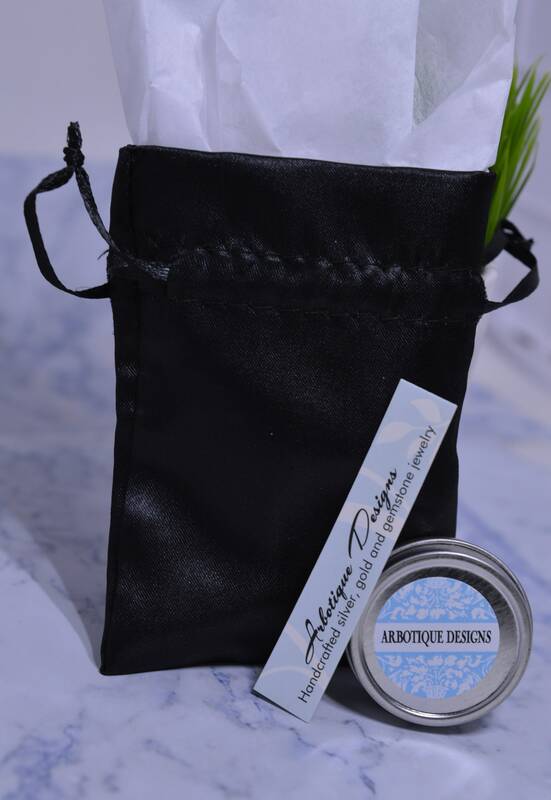 This adorable, whimsical necklace is so simple, it's perfect to wear every day either all alone or layered with other pieces - looks especially cute with my gold fill star necklace. 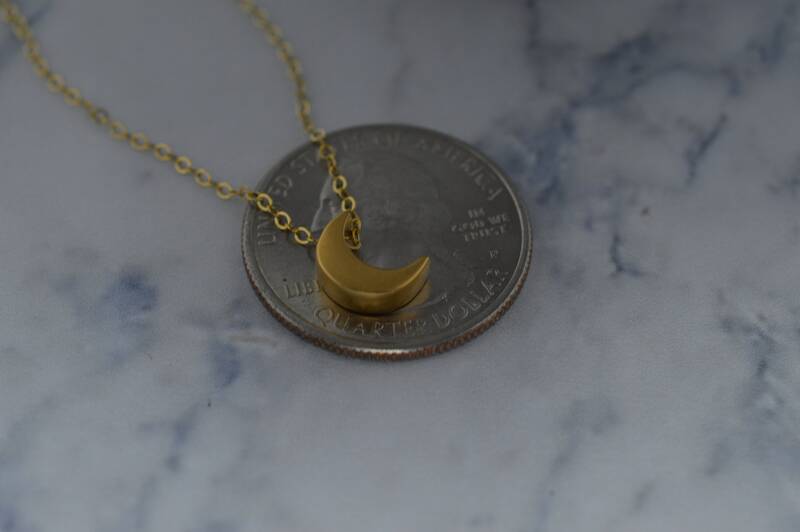 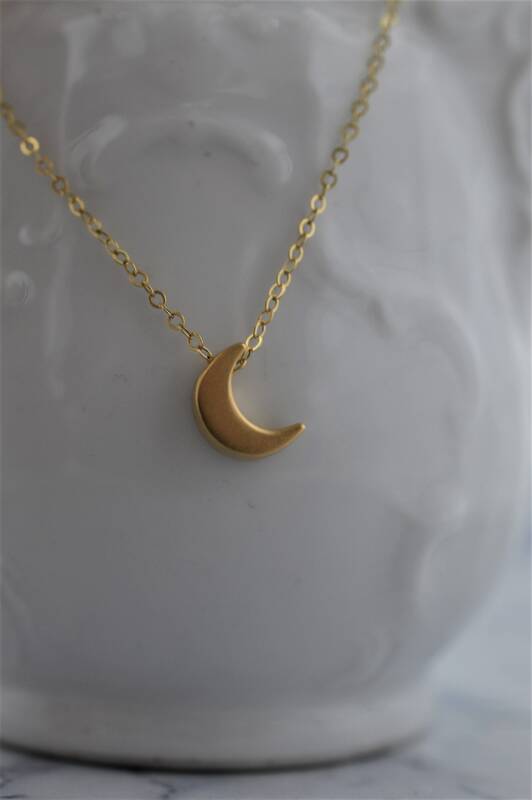 Small, matte finish moon is about 13mm x 9mm and necklace/anklet is available in sizes 9-22 inches.